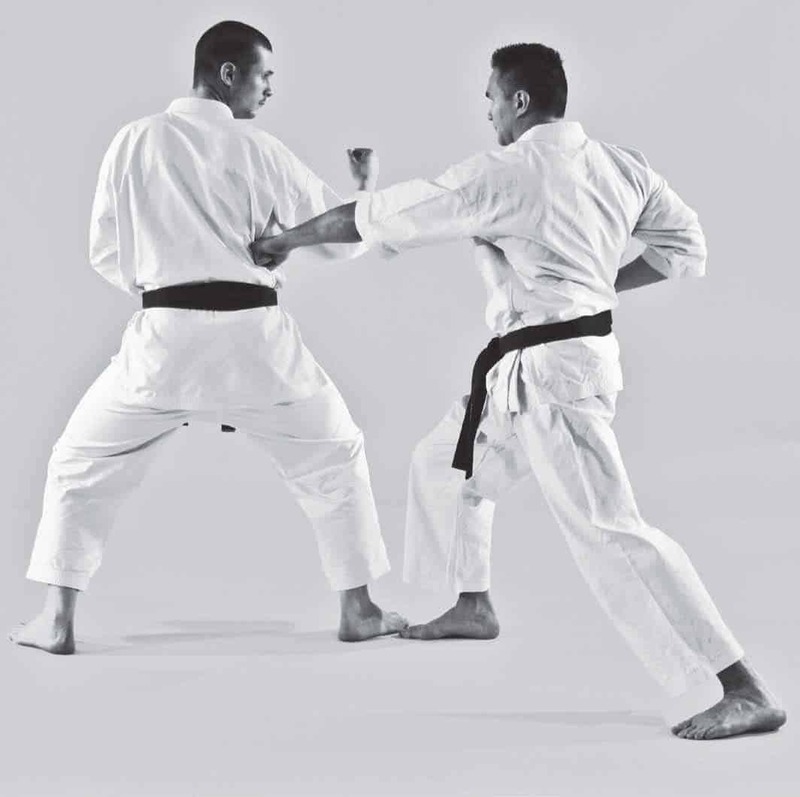 Basically there is Uchi and Soto Harai Uke which both refer to sweeping movement. After contact is made, it is maintained and the attack is swept and redirected in a favourable direction. Harai uke costs little energy and is exceptionally effective when positioning the opponent. In general, contact time is rather long than short, but short is not impossible. It is the brushing action that makes it Harai Uke and it should match the body movement. To promote his DVD, we went to Ashwin's Dojo back in 2007. Ishikawa sensei covered several Harai Uke which is one of his characteristics in teaching style when he wants you to experiment and gain experience with different kind of movement. Uchi Harai Uke is to do Harai to the inside. The standard way in Wado is with an open hand, because this is the most advanced application. The open hand allows you to relax your arm more and you can control to a tremendous degree using your fingers. It involves more risk though and that's why beginners are often told to make a fist. Soto Harai Uke is an application of the basic technique called Gedan barai. As Harai implies, it is a Nagashi type of technique that parries the attack. 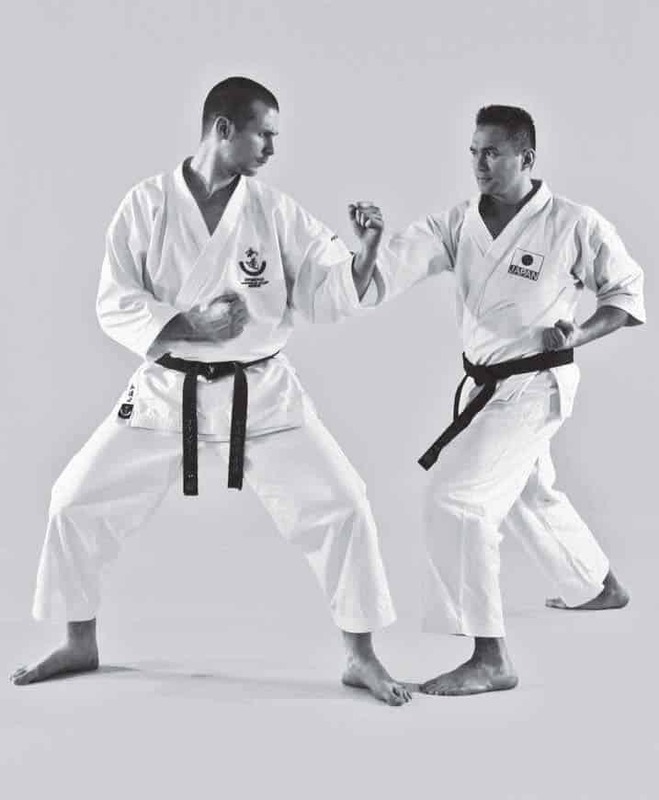 Making hard contact is possible and especially when it is used to attack a weak point on the arm or leg, but in that case the Gedan Barai would be classified as Uchi Waza. 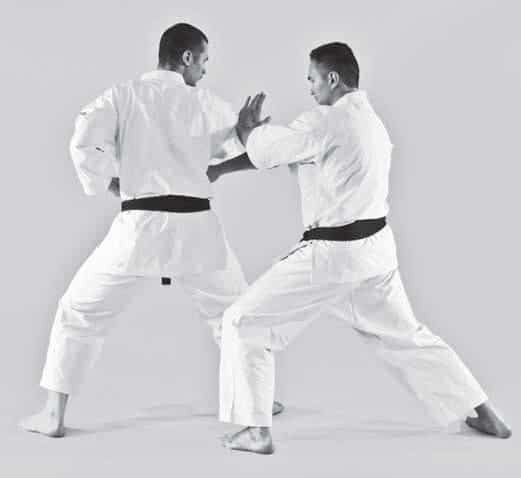 Nevertheless per standard Wado executes Soto Harai Uke in a cutting motion to avoid a measure of force, like the movement of a sword that is coming down. The Nagashi element does not mean it is a weak technique. Ishikawa sensei told me that Ohtsuka sensei's "block" did not feel hard, but heavy. Something that implies connected body movement and a chance to unbalance the opponent benefitting from your body movement instead of muscular power. Slide your body to the outside of Ukemi when he attacks with Maegeri. Execute Soto Harai Uke to unbalance and position Ukemi to setup your takedown. In this video I explain Soto Harai Uke and use Kumite gata 9 to demonstrate how Soto Harai Uke can be used against Chudan Sokuto. 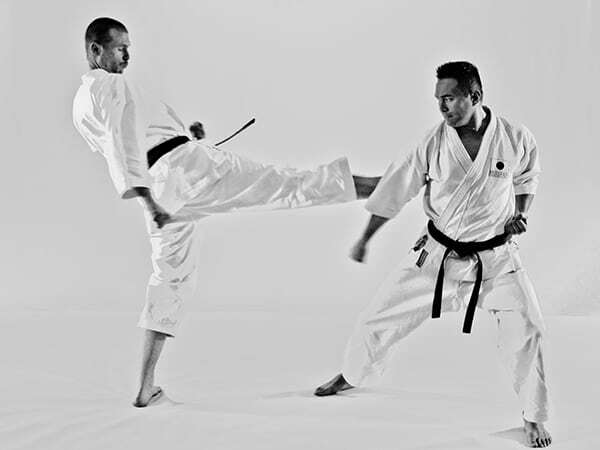 In Kumite, after Harai Uke and Kuzushi the opponent will naturally try to recover and most probably attack again. Therefore, you do not have time nor can you leave an open space. Harai Uke has to be followed up and Suki has to be used in your favour before the moment and thereby your chance ceases. It is vital to stay close to the opponent and to attack immediately before the opponent does. The key is to not give the opponent an opportunity to recover from the initial disadvantage that you created upon engaging. Watch my students practise various Harai Uke. The key of any Uke Waza is to setup the next movement. Having said that, without the proper positioning it's still difficult to do the next movement. Watch the position that I take in this Kumite. 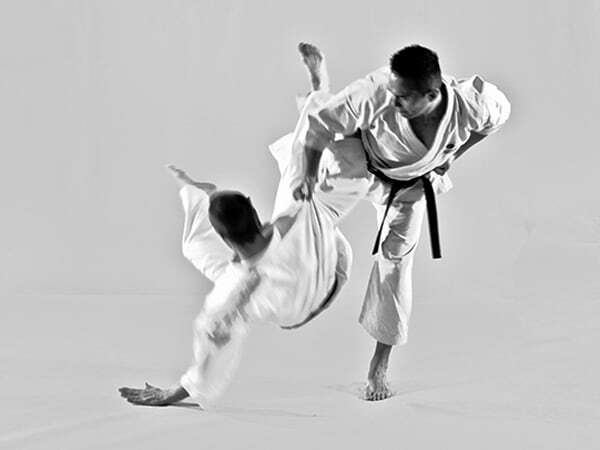 Karate contains a lot of takedowns - and especially Wado due to it's Jujutsu lineage. The takedowns are effective as well as fun to know and practise...BUT. How do you get in the position and distance to actually make it happen? Ukemi attacks with another chudan maegeri. Torimi does an ayumi ashi and executes harai uke. Actually, ayumi ashi is extended by adding yori ashi, pulling the body out of range and absorbing the kick. Ukemi’s weak spot is exposed when moving tanden passed the supporting leg. Harai uke should extend and pull maegeri to the point where Ukemi can’t correct his posture and will be out of balance. Maegeri ipponme teaches you to open the body to the outside to avoid maegeri. Kokutsu dachi is used for shifting your weight. In this particular movement, you learn to absorb the momentum while virtually staying on the same line. A little opening may occur due to the dynamic of harai uke of course. Nevertheless, point being is that this is gyaku gamae and ayumi ashi is used. Hence, you should feel how long Ukemi’s reach actually is by staying just out of reach of his maegeri. As Ukemi tries to penetrate your body you stay out of reach and do harai uke as Ukemi streches his leg. Continuously, cover Ukemi’s kamae with your left hand in order to control a possible attack and Ukemi’s posture as you execute chudan gyakuzuki with nami gaeshi. This also indicates throwing techniques. In other words, your kamae should protect seichusen and hold sente. Every posture should be a posture of attack. However, it is not mandatory to control Ukemi’s posture with your left hand, the important point is the transition between harai uke and gyakuzuki. You should use a kokutsu dachi for harai uke, so use your weight properly. 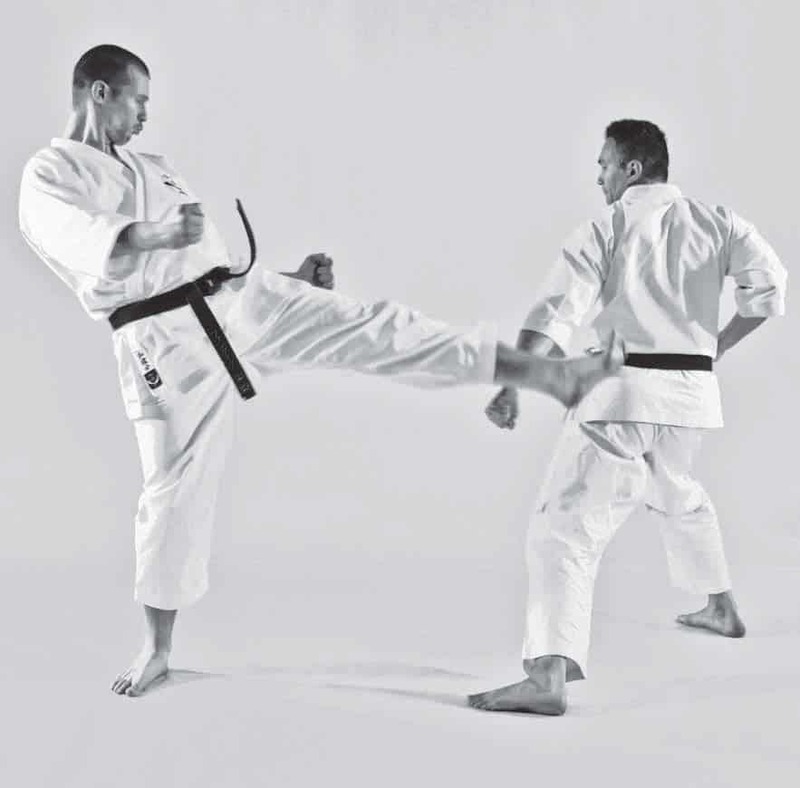 Hence, use your weight to pull the kick using harai uke and shift your weight back towards the opponent to execute gyakuzuki. It is important to execute harai uke and gyakuzuki without a stop to not offer Ukemi options to counterattack or to correct his posture in the first place. 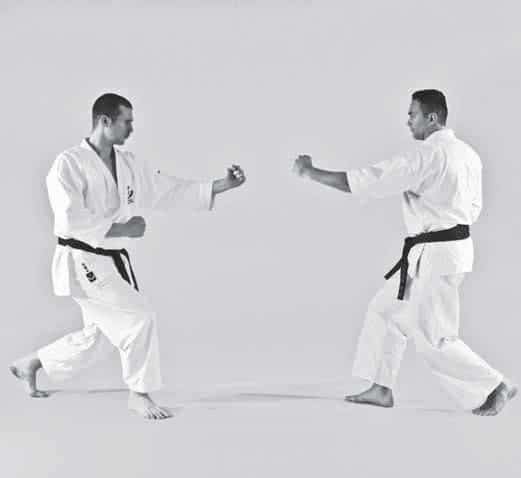 The difference with Sanbon Kumite Maegeri Ipponme (1) is the initial position: Gyaku Gamae. Because of it, you need to take a step back and do Harai Uke instead of pivoting on the front foot. Due to ayumi ashi instead of movement from the front foot, Harai Uke #2 is done in a slightly different manner. Ukemi executes another chudan maegeri. Torimi moves backwards using ayumi ashi which then transforms into yori ashi at the correct moment in time. 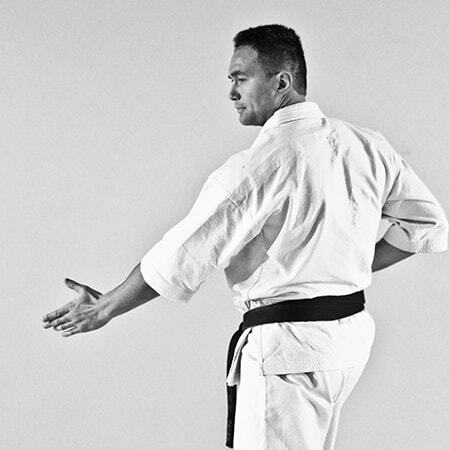 Continuously, do a sharp taisabaki to the left and execute soto harai uke. 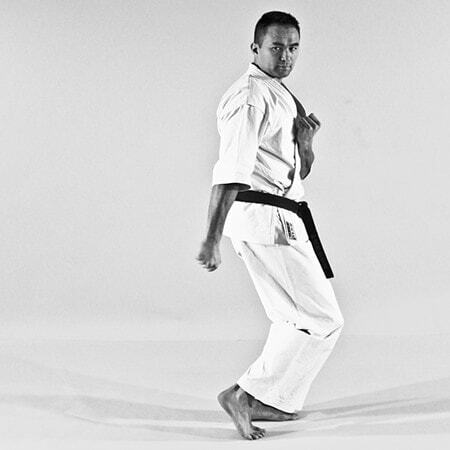 With nami gaeshi, shift your weight back to the front leg and execute chudan gyakuzuki. 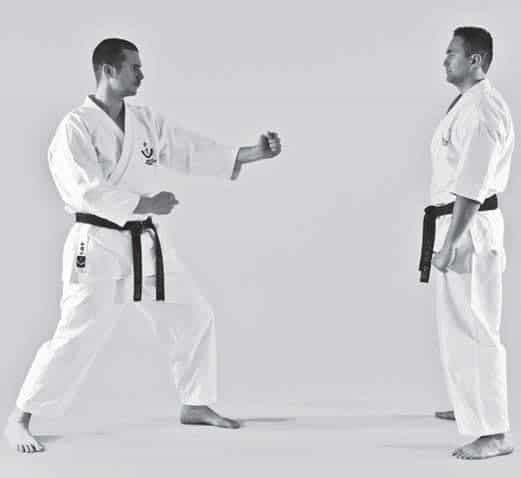 Use either kokutsu or gyaku neko ashi dachi. Practically, kokutsu dachi is faster. Gyaku neko ashi dachi allows a better taisabaki practice. 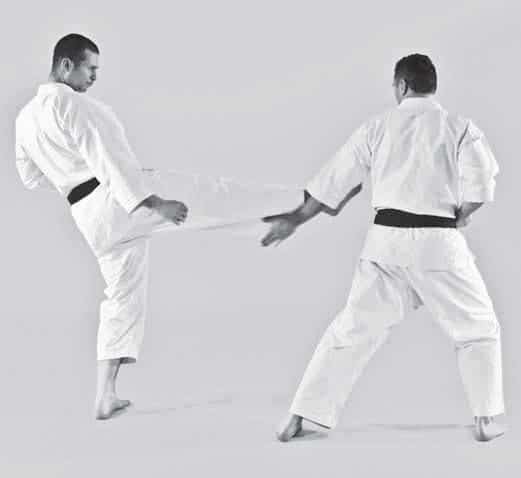 The correct moment in time is when Ukemi moves over his centre of gravity, which makes Ukemi more vulnerable and kuzushi is easier to apply. Be careful that if you use the neko ashi, that your body will not twist too much. At all times, your seichusen has to point towards the opponent. This might be a little bit confusing because seichusen is a radial axis. If we talk about your seichusen it means the line where you can generate the most of your power. Also, it is the strong direction of your stance, not the weak direction. For example, shiko dachi is very strong from the side, but very weak from the front. Continuously, Ukemi executes surikomi maegeri. Torimi should adjust his speed to Ukemi and finally pull his body diagonally to the right while hanging in mid air just before surikomi ashi would be complete. This is the moment to execute soto harai uke. Slide into kokutsu or gyaku neko ashi dachi. Practically, kokutsu dachi is faster. Gyaku neko ashi dachi allows a better taisabaki practice. The dynamic of the body movement allows you to stay close and enter as well. In that case you should not pull the left foot, but move it diagonally forward. In that case you could follow with mawatte uraken for example. That would be an example of henka waza. All depends on circumstance. However, in this movement you should draw Ukemi to expose his weak spot moving seichushin passed the supporting leg. Hence, harai uke becomes more effective. Refer to other harai uke explanations.